Senator Elizabeth Warren on Monday announced to form a presidential exploratory committee, making her the first high-profile Democratic leader to officially announce her intention to enter the 2020 elections.With ideology on the left leaning candidate, Warren in her message talked about issues like economic equality, government accountability and reining in big corporations. “I’ve spent my career getting to the bottom of why America’s promise works for some families, but others who work just as hard slip through the cracks into disaster. What I’ve found is terrifying. These aren’t cracks that families are falling into, they’re traps,” she said. “If we organise together, if we fight together, if we persist together we can win. We can and we will,” Warren said at the end of her video lasting about four and half minutes. Warren, 69, who was re-elected from Massachusetts in the November mid-term elections, is a bitter critic of President Donald Trump. She is the first among more than a dozen Democratic presidential aspirants to challenge Trump in the 2020 elections. But before that, she has to fight out her party colleagues in the Democratic primary elections scheduled to kick off in early 2020. Indian American Senator from California Kamala Harris and Hindu Congresswoman from Hawaii Tulsi Gabbard are among those Democratic leaders who are seen as a potential challenger to Trump. 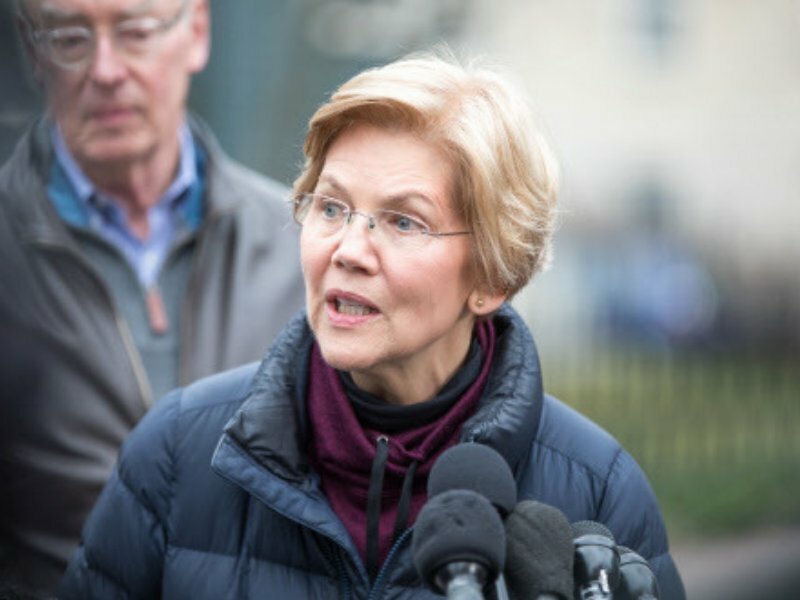 A former Harvard Professor, Warren made the announcement about her presidential aspirations in a New Year video message to her supporters on Monday. “America’s middle class is under attack. How did we get here? Billionaires and big corporations decided they wanted more of the pie. And they enlisted politicians to cut them a bigger slice,” she said in her video message setting the tone of her presidential campaign.